Enjoy the world that falls on your feet, when you adorn yourself in this wine coloured tunic with exquisite embroidery. The fine embroidery on the boat neck style enhances the feminine grace that this piece carries, along with designing that brings out your shoulders and gives an appearance of the perfect figure. 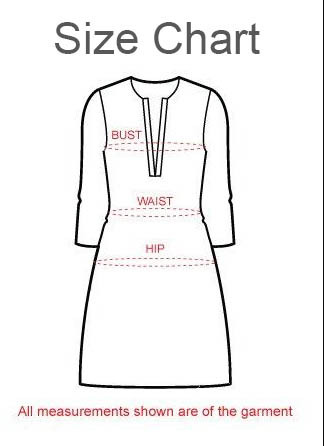 The high quality georgette fabric ensures your prolonged comfort in the tunic. This light weight tunic is perfect to suit the semi-formal section of your elaborate and classy wardrobe. Celebrate yourself with this beauty.